In meeting all different kinds of people who are thinking about or preparing for a cochlear implant surgery, I know that there are many questions that older adults have about the actual implantation. These can be questions about what happens during the actual surgery, if there are potential side effects of the surgery, and what happens after the surgery. If you have questions too, that’s completely normal! This is why I’ve pulled together some information that can help you to learn more about this straightforward procedure. What happens before cochlear implant surgery? Before the surgery, everybody regardless of age, will have a hearing test and a medical evaluation. For this, an ENT doctor will check the function of the ear and make sure that everything’s working fine. Often, a CT or MRI scan is taken so that the surgeon can see the anatomy of the inner ear, even before the surgery, and prepare accordingly. Especially for older adults, this check will also have a particular emphasis on ensuring good general health and the anesthesiologist will often do a separate check. If you have more questions about anesthesia, you can check out a previous post that I wrote about anesthesia and cochlear implant surgery. Preparing for a cochlear implant implant surgery is similar to most other surgeries. The surgery itself will usually last from 1–2.5 hours, depending on which specific implant you will receive: middle ear or bone conduction implantation is often about one hour while cochlear implantation is between 1.5 and 2.5 hours. Depending on the specific surgery, and where it is performed, you may be able to leave the hospital on the same day (this is called an “outpatient procedure”). Sometimes, the surgery is followed by 3–5 days in the hospital so that the doctors can observe the first days of recovery. Regardless of the hospital stay, everybody will have a bandage placed over the implant site. This is to keep it clean, and shouldn’t be removed until your doctor gives the ok. Some people might have a little pain around the implant area and this can usually be taken care of with mild painkillers. In one or two weeks, you’ll have some scheduled check-up appointments with your ENT doctor to check on how the healing process is going. During this time, it’s important to not put too much pressure on the implant site. This includes blowing your nose! Then, about 2–4 weeks after the surgery you’ll have your first fitting. This is where you’ll have your audio processor activated, and we’ll go into more detail on just what happens in a future post. Are there any questions that I should ask my surgeon? How long do I need to stay at home to rest? Should a friend or family member stay with me after surgery? Are there any surgical or anesthetic risks for me? What can I expect from my hearing implant? Will I be able to hear straight away? How long will it take to be able to hear well? 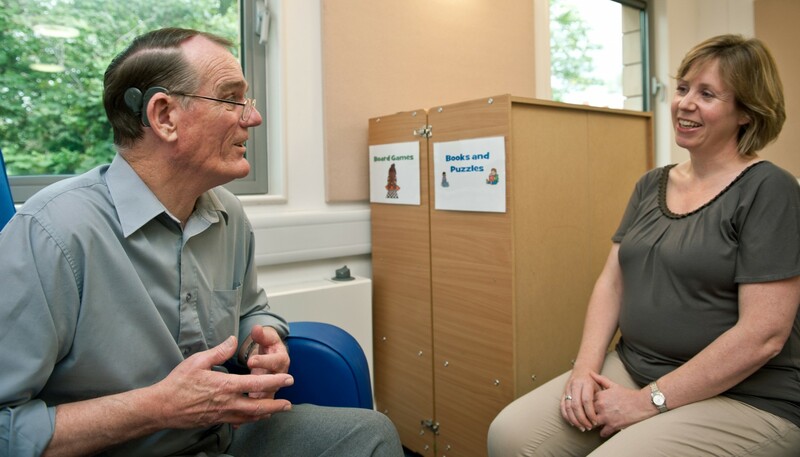 If you’d like to hear from others who are thinking about a cochlear implant, why not ask them in person? You can at HearPeers, the social network for anybody interested in MED-EL and hearing implants.